Use Your 2018 Dental Insurance Before It Expires! It’s tough to believe that 2018 is almost over! As you prepare for your year-end activities and look ahead to all that 2019 may offer, it could be easy to let important details slip by — such as that dental work you’ve been putting off. However, if you delay for too long, you could end up losing out on your dental insurance policy’s full potential. Let’s talk about how you can save money by visiting your dentist before the doors close on 2018. Most dental insurance plans operate on a calendar-year basis. Between January 1 and December 31, you have a certain dollar amount that you can use to help cover the cost of oral health services. Typically, that dollar amount is between $1,000 and $1,500. Whatever portion of that money that you don’t use by the end of the year disappears. Very few plans have a rollover provision that allows you to use a previous year’s benefits after they’ve expired. Sadly, the vast majority of people who have dental insurance don’t use it to its full potential. In fact, less than three percent of individuals with a PPO dental plan meet or exceed their allotted annual maximum. 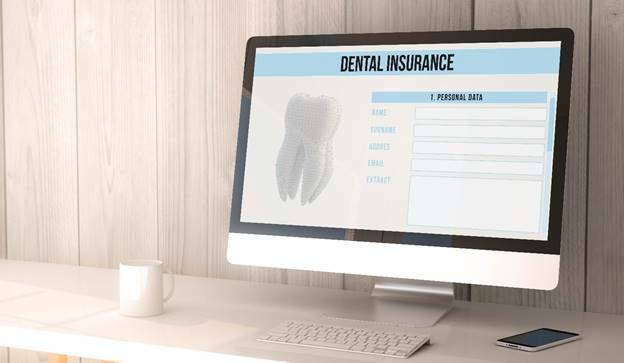 If you go for years without using your dental insurance, you could end up losing out on thousands (or tens of thousands) of dollars’ worth of benefits! Of course, that isn’t to say that you should receive dental treatments you don’t need simply to take advantage of your insurance. However, you should visit your oral healthcare provider for regular checkups and use your benefits to cover any restorative work they recommend. Schedule a checkup now. Depending on the details of your policy, preventive care may be available at no out of pocket cost to you. If your exam reveals that you need a bit of restorative care, you may be able to have it completed before the end of 2018. Investigate your deductible. Some dental plans come with a deductible. If you have already paid your deductible for this year, it’s wise to undergo any necessary treatment before it resets at the beginning of 2019. Find out what your policy covers. Different insurance plans cover various procedures at different rates. By knowing what your plan covers and how it will mitigate the price of your treatment, you’ll be in a better position to understand your out of pocket costs. Schedule major treatment across two calendar years. If you begin a major treatment this year and complete it in 2019, you may be able to take advantage of two annual maximums rather than just one. Ask for help. The friendly staff in your dentist’s office will be happy to help you understand your policy and how it relates to your treatment. They’ll also file insurance claims on your behalf. 2018 is quickly coming to its end. If you want to take full advantage of your dental insurance, now is the ideal time to schedule your next appointment. Dr. Erick T. Anderson is a native of Colorado Springs who loves to care for smiles in our community. In addition to accepting many forms of insurance, he also offers a savings plan to patients. To learn more about how we can make your dental dollars stretch as far as possible, contact us at 719-593-0988. Comments Off on Use Your 2018 Dental Insurance Before It Expires!